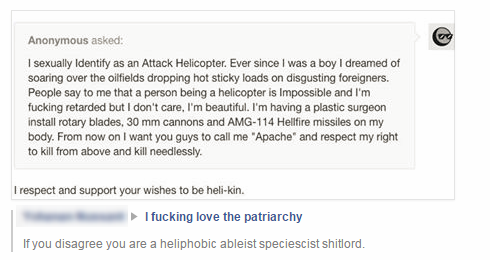 If you disagree you are a heliphobic ableist speciescist shitlord. So there. Social Justice Now!